Taking part in the 27th International China Content Broadcasting Network Exhibition (CCBN) held in Beijing from 21-23 March 2019, ASTRI promoted its latest innovations in digital video production, including Ultra-High-Definition video processing and AI-based video production solutions. The expo was a great platform for ASTRI to engage and collaborate with local and international experts and researchers from various application industries. In 2016, ASTRI established a joint laboratory with the Academy of Broadcasting Science (ABS), a subsidiary of the State Administration of Press, Publication, Radio, Film and Television, to promote technical standards and applications in the field of ultra-high definition video. At the exhibition, the two sides exchanged views on advancing this partnership to the next level through the joint laboratory. 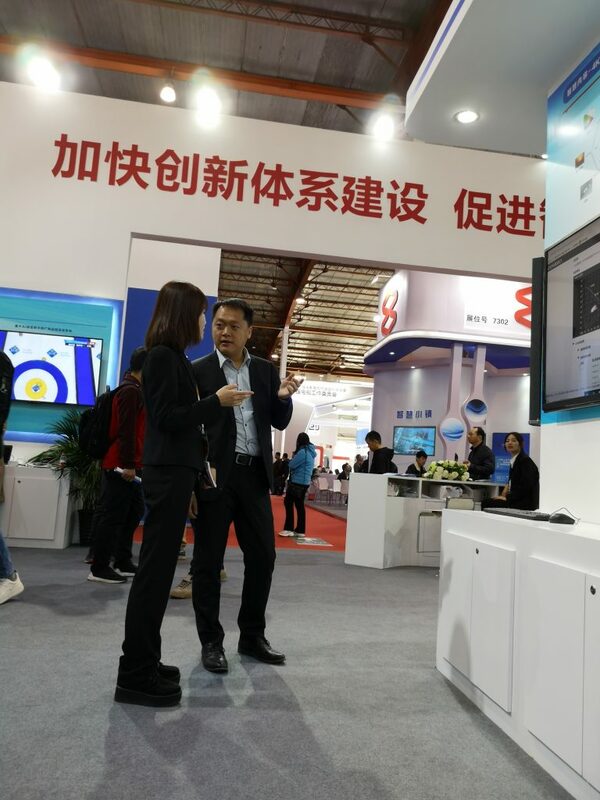 CCBN is the largest exhibition of broadcasting industry the in the Asia-Pacific region. Drawing leading ecosystem players, it is also the world’s leading digital TV and broadband network industry event. The exhibitors and forum participants showcased a series of innovations and exchanged ideas in the event, including media convergence, next-generation ICT solutions, radio-TV and other converged media, smart broadcasting, artificial intelligence, 5G, cloud computing, big data, Internet of Things, Ultra-High Definition display, Virtual Reality (VR), Mixed Reality (MR), and deep learning applications.